I'm in a fabric funk. 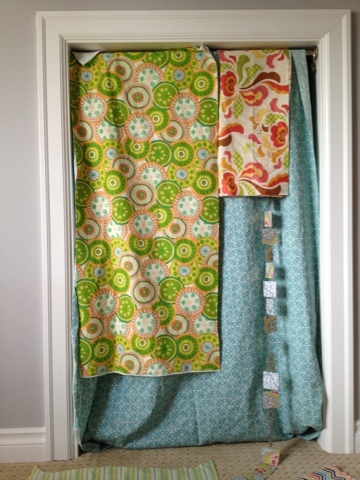 We built the closets in the guest room and instead of wood closet doors, I'm going to do fabric curtains hung on rods. A bit of a different look. Plus it keeps me from messing around with doors, paint, and hinges. Have you ever tried to hang doors? It's no fun. 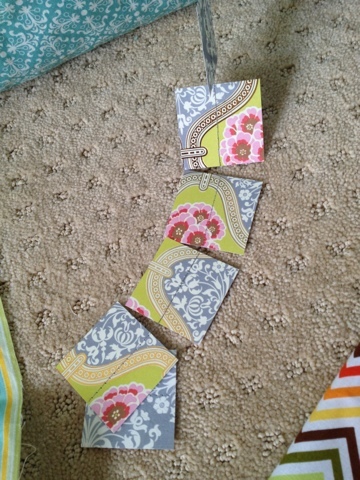 But I can't for the life of me decide upon the fabric for the closets. I'm trying to break out of my normal blue-grey-beige-cream color palate. I need something with some zing! And warmth. 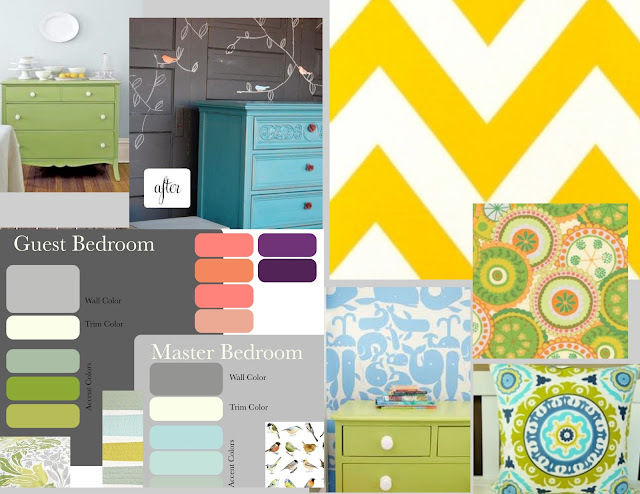 Here is my general color scheme: grey (walls) with bright bits of green, red, pink, and yellow. I really like the hanging pink/red/green fabric in the upper right but the cream background doesn't look so hot against the white trim. I'm thinking about dying it yellow. Or perhaps green. I haven't had great results with dying previously so I'm not holding my breath on that one. 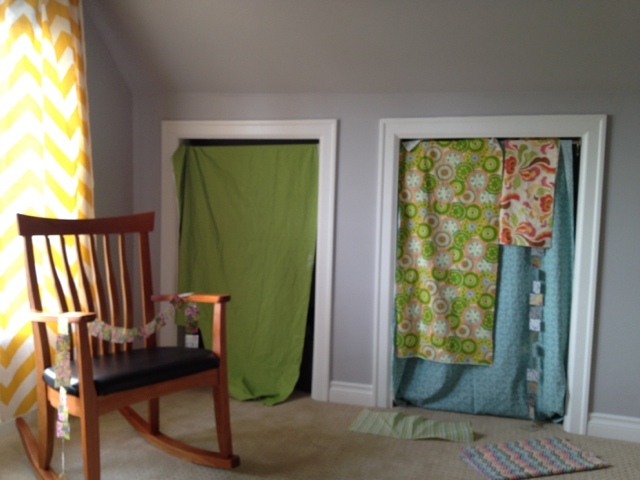 The green and pink circle fabric fits well with our color scheme but...I'm just not crazy about it. A little too busy. Plus, it's flannel, with probably isn't the best fabric choice for curtain material. The problem with the internet is that there are simply too many choices. I have an entire pinterest board devoted to fabric options for this room, yet none of them screams "The One". For example, I really like this one, but wish it had more warmth (reds and pinks). I just need to pick one fabric. And the be done with it.